Roman rulers: where did they live? How did they rule? Aqueducts and the Pantheon dome: how did the Romans do it? What was daily life like in Rome? How did an obscure village come to rule an empire? Was Roman religion sincere or just formulaic? What was the topography of Rome like originally? How does an excavation in Rome work? We'll answer these questions through live on site examination! Duration: January 27-March 16, 2017. 2 1/2 hour live streamed lectures per week, plus 1/2-1 hour discussion session. 10 hours total. (Videos will be available to enrolled participants for replay). Most lectures will take place at 330pm Rome time. Instruction: Dr. Darius Arya, AIRC director and TV host of Under Italy on Rai5. 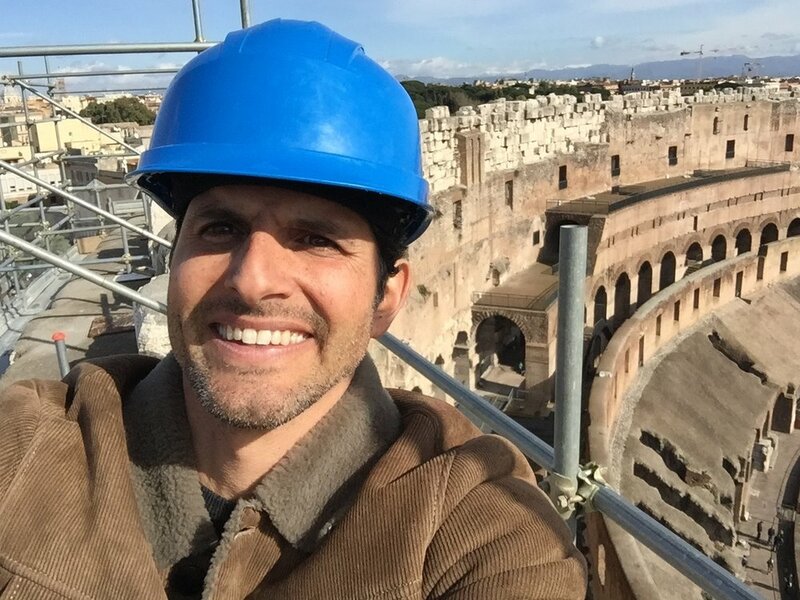 There is no one in social/new media that combines academic knowledge, TV- livestreaming expertise, and on site instruction like Darius, having taught and excavated in Rome for 15 years and internationally recognized in new media instruction. He will take you to Rome using new media live streaming (vs. recorded videos or reconstructions) to virtually transport you to the ancient city within contemporary Rome. Requirements: The course is for everyone interested in learning more about ancient Rome. A teacher, a student, an arm chair historian. Any one that wants to discover Rome's past and how it interacts with the contemporary city around it. You just need a computer; a smartphone or tablet will allow for better interaction when the 360 degree live streaming is taking place. Summary: This is your ticket to Rome, virtually! No prior experience is required, nor do you have to fly to Rome. 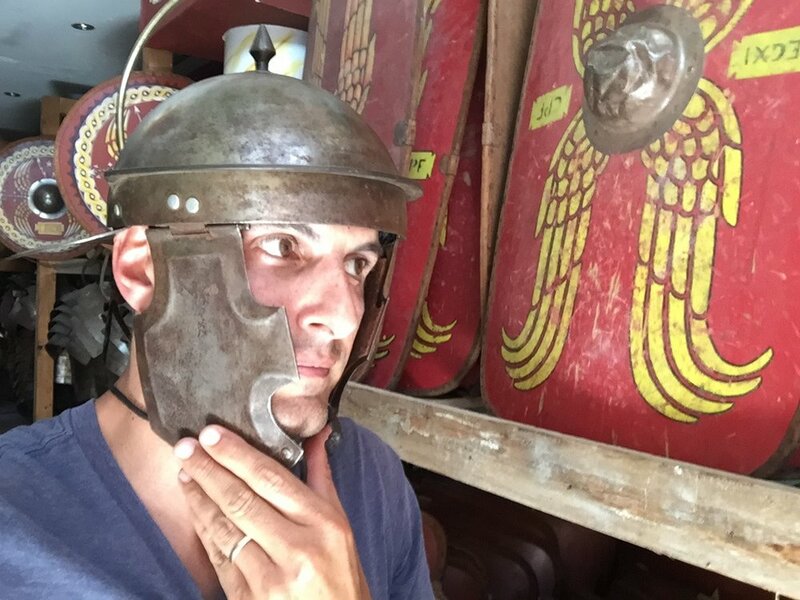 You will learn about the Romans, their gods, art and architecture, social practices and rituals, all through unique learning opportunities with livestreaming on site, with tech devices utilized like Olloclip and the Insta360 Nano providing views and experiences unlike any other learning course. And, it's all taking place in Rome! Be the first to know when we launch our next course by signing-up to our newsletter.